If you’re feeling a little blue, the standard cure is a quick shot of Leonard Cohen. You soon realise there’s someone more depressed than yourself and the effect is curiously uplifting. Now, for the jealous, the jilted, and the genuinely sorrowful, there’s Dan Michaelson. This is his fourth album as the gravel-voiced embodiment of self-pity and things don’t seem to be getting much better for him. His lovers keep leaving. His heart keeps breaking. But somehow he keeps it all together and he keeps writing great music. The tunes are perhaps a little one-paced. But that’s not really the point. A Dan Michaelson album is never going to be a roller coaster ride of highs and lows. Just lows. And the lowest of them all is that inimitable voice. Well, imitable maybe if you’re Greg Brown, or if you have bad cold and a really sore throat and you’re smoking 60 a day. But inimitable otherwise. Narrow though its range might be, it’s a voice that communicates a certain mood perfectly. A Dan Michaelson mood to be sure. A couple of times he almost sings, but blink and you’ll miss them. Mostly it’s Lee Marvin-style sing-talking. But the voice by itself wouldn’t be enough. The real beauty of a Dan Michaelson album lies in the combination of the voice and the orchestration. Backed by slightly tinkling pianos, restrained percussion, and flecks of steel guitar, the songs are cushioned in a certain luxury. It would be interesting to hear Dan Michaelson as a producer-arranger. He has a brilliant way of getting the best from his own vocal limitations. What would he do with a more tuneful palette? We can only dream. All of which is to say that however low he may go, a Dan Michaelson album is never a miserable affair. It’s never depressing. It has that wonderful capacity to lift you up. 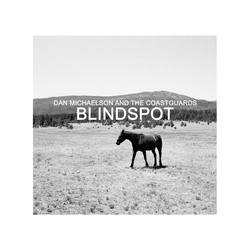 So, if you’ve just had that “We have to talk” moment and been told that “It’s not you, it’s me”, then let Dan Michaelson and the Coastguards throw you a life line. Just hang on. You won’t regret it. The beauty of a Phosphorescent album is its essential raggedyness. Matthew Houck’s wavering voice, the slightly rough-edged songs, the odd whoop here and a yelp there. At the core it’s a country, rocky, americana, but it’s not a sound that going to get played on a Nashville FM station anytime soon. So, what happens when the pre-release hype about a new Phosphorescent album is all about the electronic textures that Matthew Houck has discovered? And, now it’s arrived, how does a new electronic Phosphorescent album compare to John Grant’s recent electronic-heavy offering? Well, first, Matthew Houck probably didn’t have as many Depeche Mode albums in his collection as John Grant. There’s some electronica, but it’s not omnipresent. There are still plenty of largely electronic-free instant Phosphorescent classics. ‘The Quotidian Beasts’, ‘A Charm/A Blade’, ‘A New Anhedonia’. Second, and here’s the big difference between Muchacho and Pale Green Ghosts, when there is an electronic backdrop, it still sounds like a Matthew Houck album. The opening track. ‘Sun, Arise!’, is perfect. The texture is indeed electronic, but as soon as the reassuringly imperfect multi-tracked harmonies appear, it can be the work of only one artist. Elsewhere, the electronica is used to complement the standard Phosphorescent sound. It increases the palette. It doesn’t wash it away, replacing it with something new. So, ‘Song For Zula’ sounds more than fine. Whatever the speculation, then, this is a true Phosphorescent album. 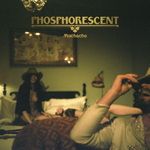 At times, it’s a new, evolving Phosphorescent album for sure. And that can only be a good thing. But this is still the same artist as before. A mature, more confident artist even. 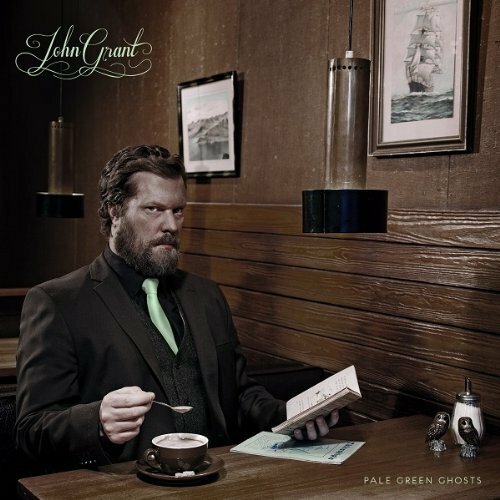 If Cat Power’s Sun was the most disappointing album of 2012, then John Grant’s Pale Green Ghosts is likely to be the most disappointing album of 2013. Three years ago John Grant released a beautiful album, Queen of Denmark, that both bared his soul and contained some lovely songs. Recorded with Midlake in Texas, it had a laid-back mid-1970s sound with ultra-confessional lyrics. For his new album, John Grant has decamped to Iceland. Fittingly, the album has a colder sound. In interviews, Grant says that on this album he’s embraced his love for bands like Depeche Mode. This comes through clearly in the mid-1980s vibe with full-on synths. The shift in sound is tough to get used to. It’s so different. There are bass-heavy techno synths. Beep-oriented krautrock synths. Synths, synths, synths. Midlake are present on some of the tracks and a couple of songs do come close to the Queen of Denmark sound, GMF and Glacier being the closest. But even then there’s usually have some sort of synth background. If the music has changed, the themes haven’t. The songs are still about his self-loathing, his dependency issues in the past, and his former lover. There are still some great lines. “Half of the time I think I’m in some movie, I play the underdog of course, I wonder who’ll they get to play me baby, They could dig up Richard Burton’s corpse”. But context is everything. With Midlake’s lush support, Grant sounded fragile, but on the right track. Backed by a colder sound, he comes across as angry, bitter, fucked up. Worse still, it’s self-indulgent. At 64 minutes, we get to hear him vent a lot of spleen. Change is good. But this change has generated an album that for all its philological prowess sounds unutterably dull. When you really want and expect an album to be an instant classic and it isn’t, the disappointment is always the greatest. Let’s only hope that this is the most disappointing album of 2013. There are some artists who never disappoint. 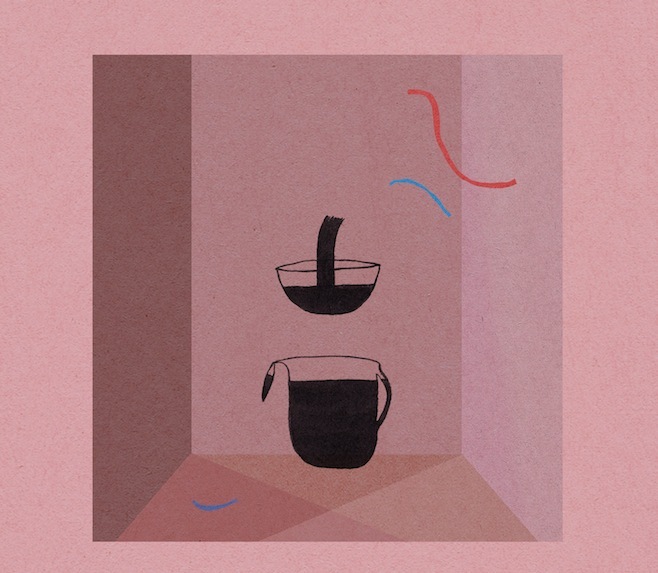 Devendra Banhart is one. His new album is unmistakably Banhartesque, utterly Devendronic. There’s the obligatory song in Spanish. The song that starts off one way and then does a complete somersault. Here it’s ‘Your Fine Petting Duck’, which proceeds slowly for 4 minutes only to transmogrify into a Dan Bejar Kaputt-like disco inferno. Oh, and, fittingly for the Kaputt-like sound, the language changes from English to German. Then there are the lyrics. Devendra is the master of irony. The prince of pince-sans-rire. The album begins with a short teaser track that exhorts us to “get on the dance floor”. So the next track is, inevitably, the most relaxed composition on the album. You’d have to have two broken legs to bop to it successfully. Best of all, there are the perfect, sublime moments. There’s perhaps nothing as transcendental as ‘Sea Horse’ from Smokey Rolls Down Thunder Canyon, or anything quite as beautiful as ‘First Song For B’ on What Will We Be. Even so, there are some utterly mesmerising songs. The chord changes in the short instrumental ‘A Gain’. The whispered, almost hushed vocals on ‘Daniel’. The peace at heart of the penultimate track, ‘Won’t You Come Home’. Of course, the problem with any DevHart album, in all its quirkiness, is the temptation to fillet it. Don’t like a song, then show it the Ausgang. And there’s always the nagging sense that it’s a collection of individual songs rather than a coherent whole. Maybe it would take a Devendra Banhart concept album to give it a sense of complete togetherness. Obviously, it would have to be about the breakdown of a clown in the circus, or the private life of minor Latin American dictator, or something like that. Whatever the theme, surely with a little more oneness a truly great album would emerge. For the time being, though, His Devness has delivered another wonderful and sometimes crazy selection of songs. And that’s always a good thing. It was only a year ago that Anaïs Mitchell delivered her last set of haunting and poignant songs. Then, the focus was America. She told tales of discovery, wonder and loss. The great American novel, or collection of short stories at least, in musical form. This time she has a new singing buddy, Jefferson Hamer, and her focus has shifted across the water to England and Scotland. Together, they’ve recorded a selection of traditional child ballads. 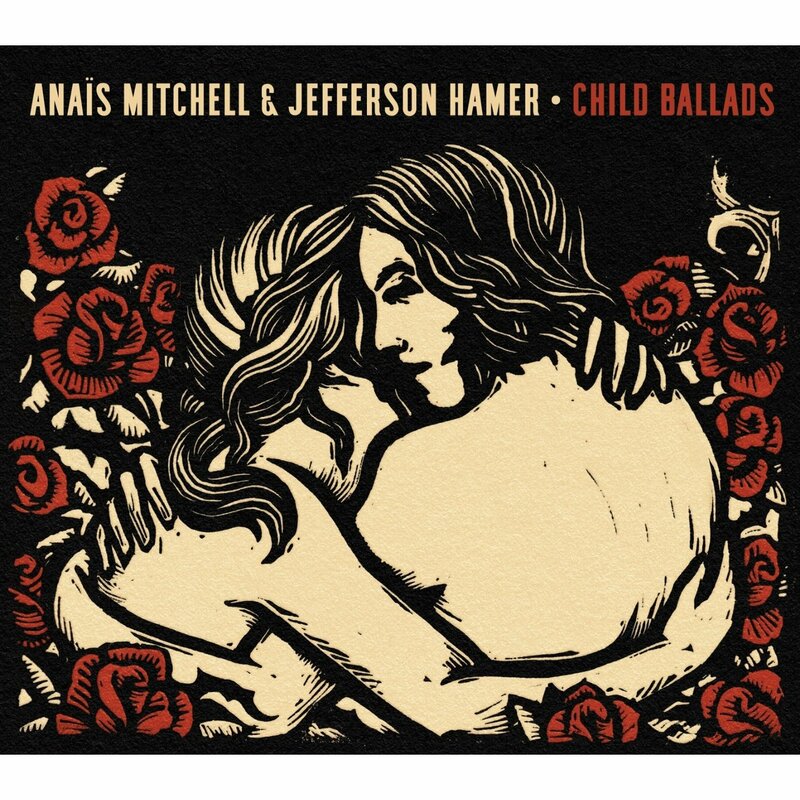 Equally haunting and poignant, they’re stories of loss and yet more loss rather than discovery and wonder, but they would seem to be a perfect match both for Anaïs Mitchell’s folky sound and for her lyrical predispositions. So, what went wrong? Well, part of the problem is the subject matter. Previously, when she has transported the themes of innocence, love, and tragedy to new lands, like on Young Man in America, or when she has retold the oldest tales in brand new form, as on Hadestown, the result has been revelatory. The creative act generating new insights into old dilemmas. Here, though, she seems hemmed in by the material. The voice seems inauthentic. The stories are recited rather than reframed. This is a real shame because vocally Mitchell and Hamer are a wonderful match. Bon Iver is a tough act to follow, but Hamer complements Mitchell beautifully. Yet, however lovely they sound, together they seem to somehow rush through the material. An album of dirges would have been unbearable, but sometimes there seems to be no stopping the story. It’s a race to the end. Compare the delivery here with almost any song by The Unthanks. With similar material, including the odd child ballad, The Unthanks communicate the tragedy at the heart of the story with huge and yet restrained emotion. There’s no such feeling here. On paper, Anaïs Mitchell singing classic songs of hope and despair seems like a sure-fire winner. Here, though, the result is surprisingly emotionless. Expect the feeling to return with her next album of original material.